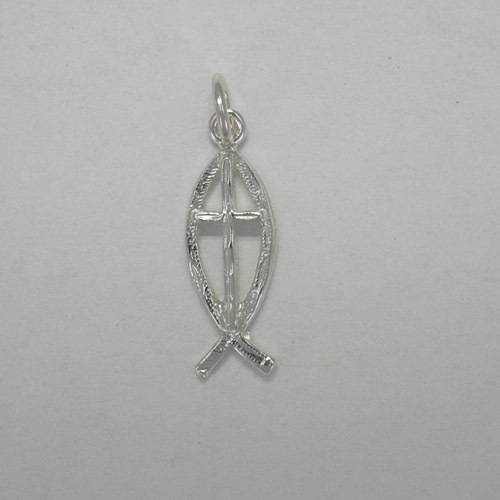 Desc: Sterling Silver cross inside Ichthus pendant. The Ichthus is open in the center and the Cross is mounted in the center of the Ichthus. The cross and the Ichthus are open between the designs. The pendant has a textured and a bright polish finish.